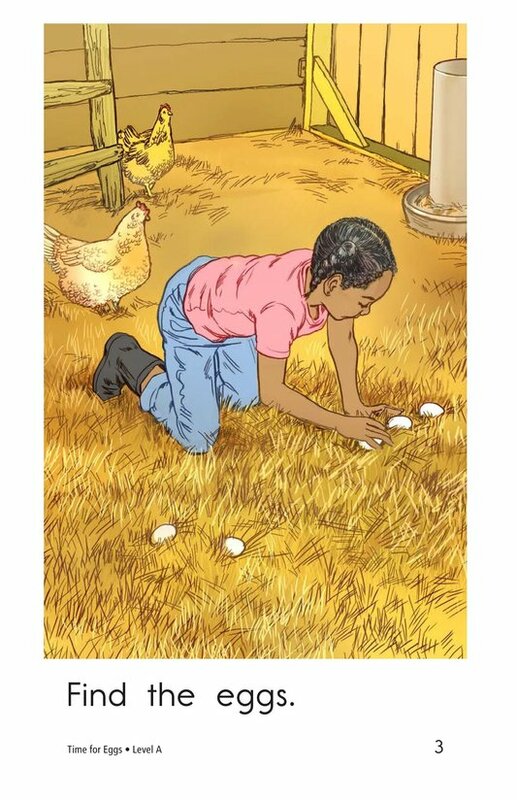 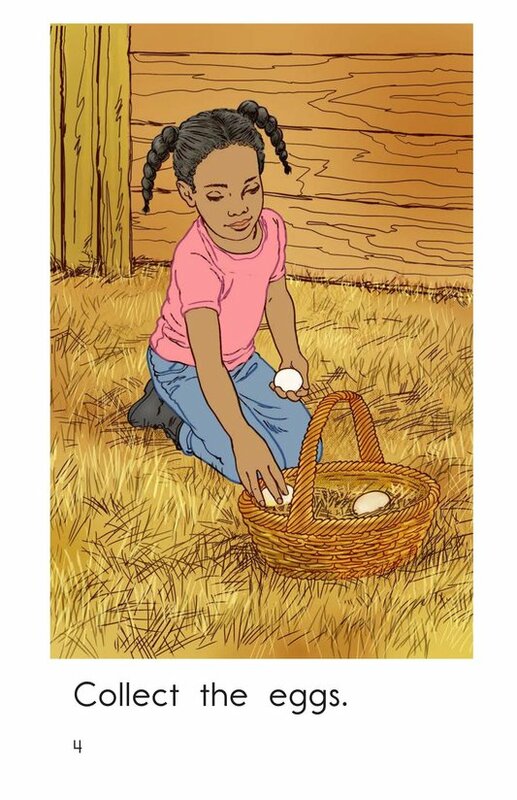 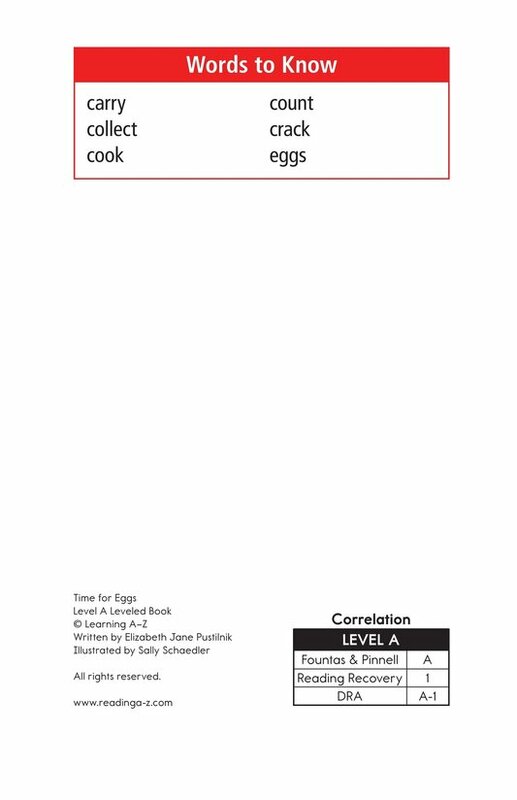 What steps are involved in collecting eggs? 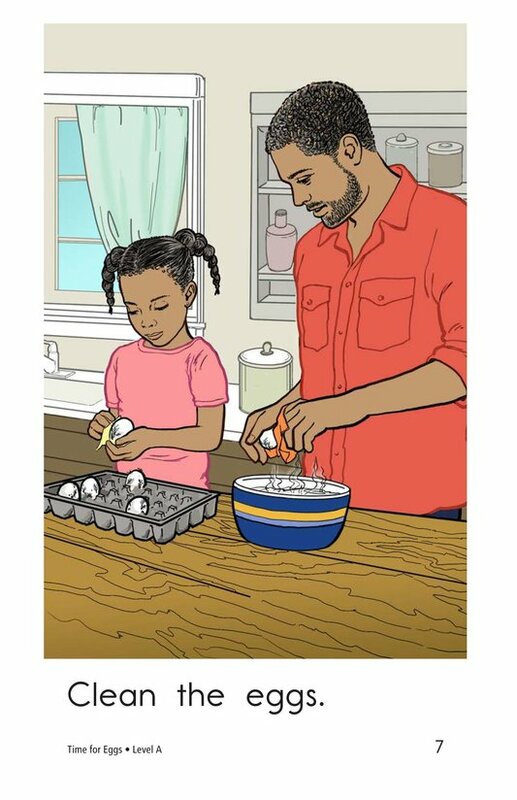 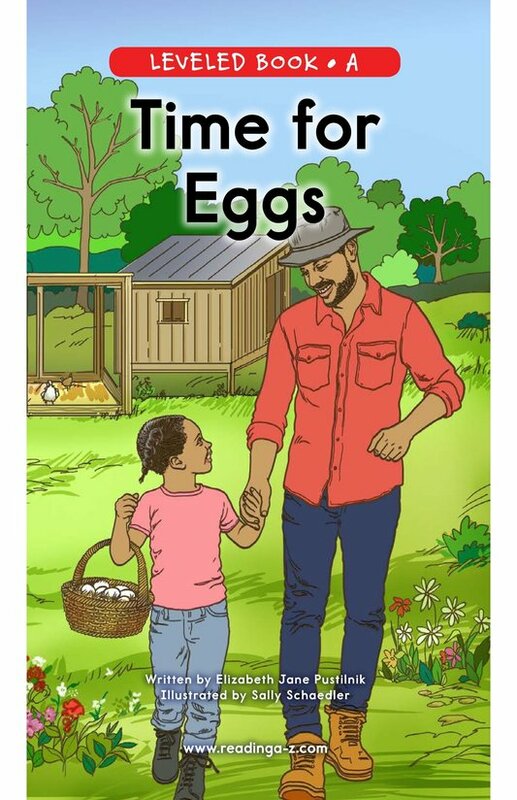 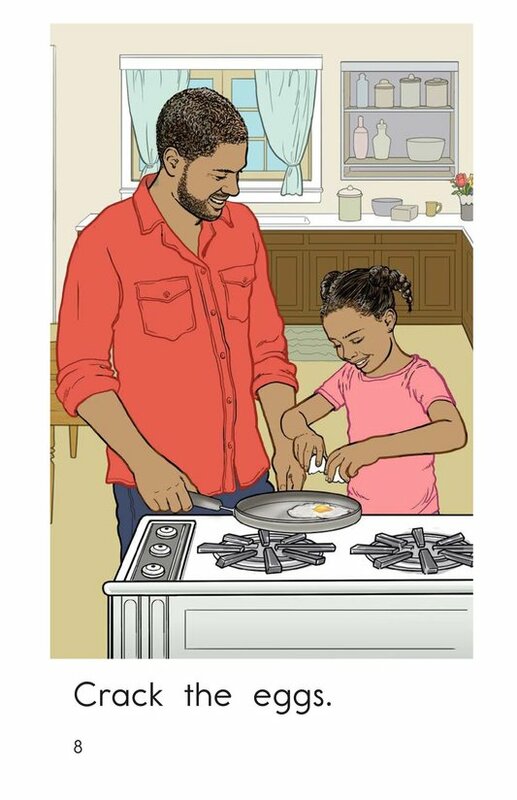 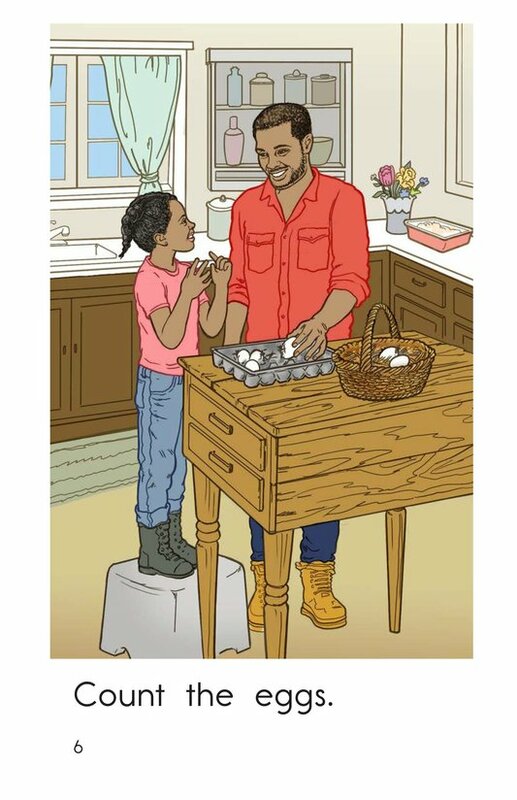 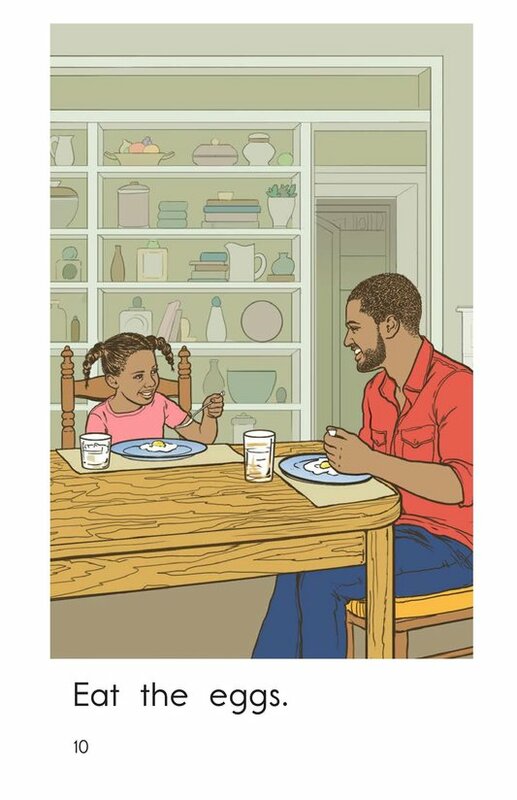 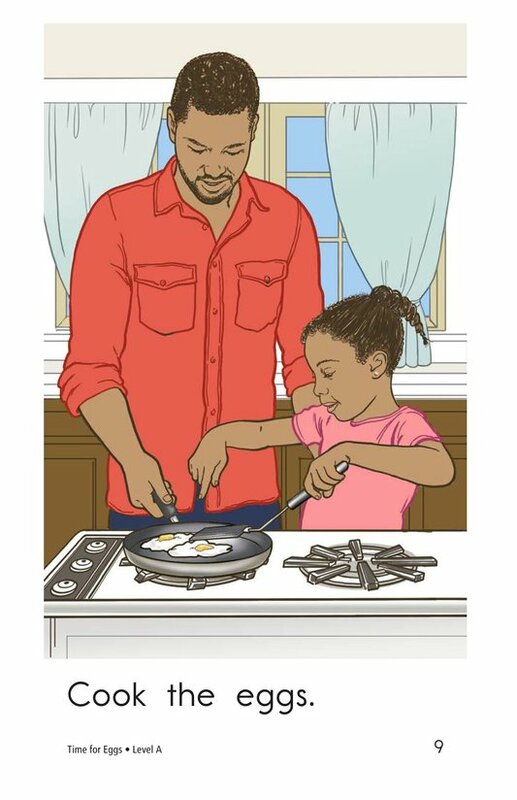 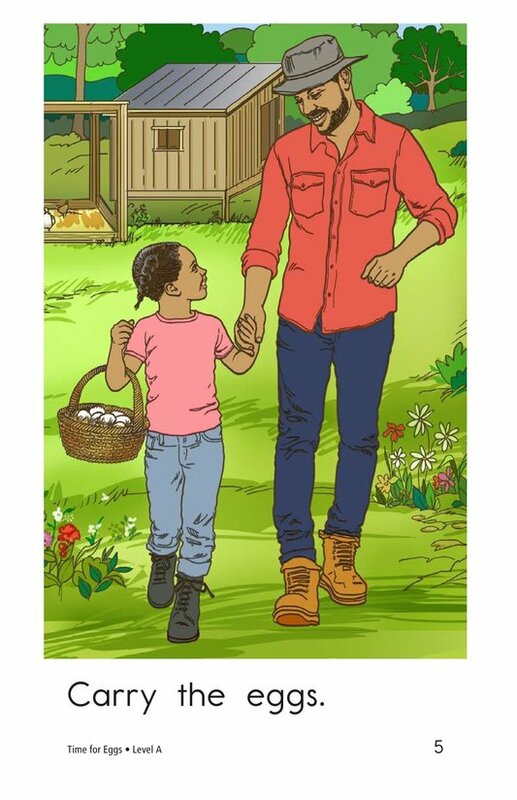 Time for Eggs allows students to follow a girl and her dad as they gather and prepare eggs to eat. 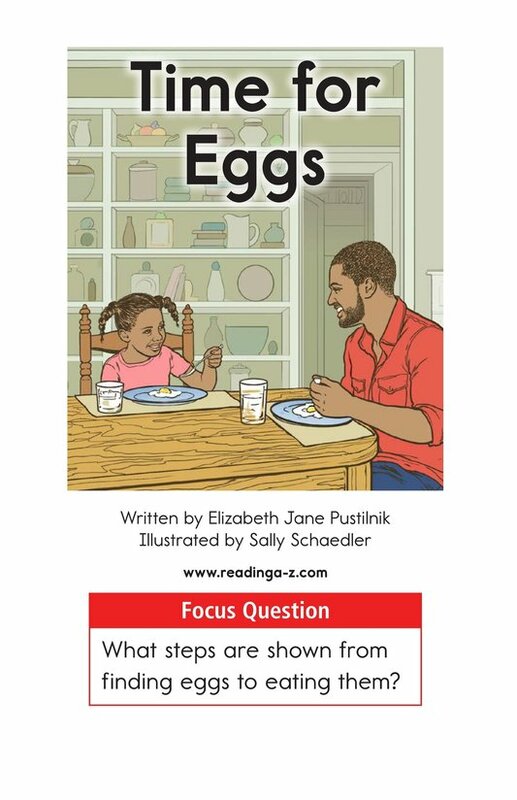 Detailed illustrations, high- frequency words, and repetitive phrases support early emergent readers. 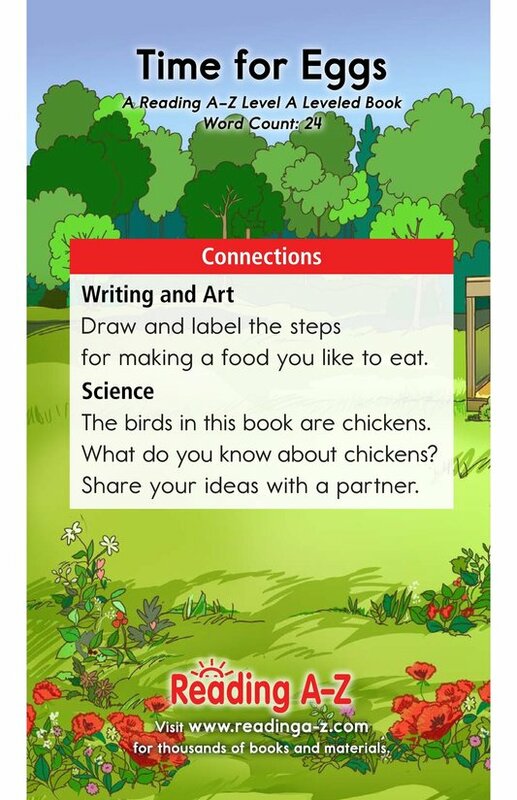 The book can also be used to teach students how to sequence events and to identify and use verbs.